I went to the library to get one book that I knew I wanted to read about Narnia this month. 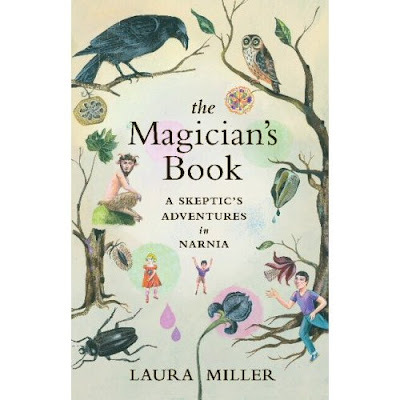 Janet from Across the Page and read and reviewed The Magician's Book: A Skeptic's Adventure in Narnia and I was intrigued. So off I went to the library, intending to pick up only this title for the Chronicles of Narnia Reading Challenge, but instead I came home with a whole stack of books about Narnia. Now, I'm not saying I'm going to read all of these. (In fact, I'm not!) I did think though that it would be fun to share the information with you so that you can pursue the books that capture your attention. Author Laura Miller loved Narnia when she was a child. She doesn't appear to have liked Christianity much growing up and felt betrayed by this series of books she loved when she was young. 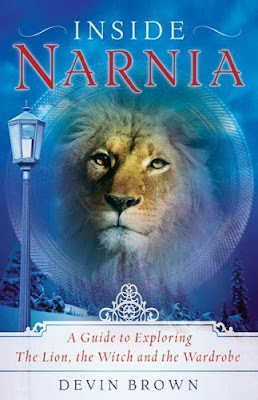 She revisits Narnia as an adult, and points out things she feels are amiss in the life of it's creator, Lewis, and wrote a book to share her feelings. I'm fascinated! Janet wrote a great review of it and I'm purposing to get to this one before the Challenge is out! I'm gonna give you my best blank stare and as little commentary as possible on this one. It's headline states: "Discover the universal meaning and Christian symbolism behind the Chronicles of Narnia and other works by C.S. Lewis." This is "the fun and easy way to explore C.S. Lewis's life, works, and the world of Narnia." It is written by Richard Wagner who apparently also wrote Christianity for Dummies. Honestly, this book could be good or bad and I will never know it because I cannot get past the title or the series this book is a part of. I dislike the word "Dummy." You should know that this book was not "authorized, prepared, or approved" in any way by C.S. Lewis (PTE) Ltd. or any other individual connected to...well...just about anything. I also got a chuckle from the declaration that this is the "FIRST TIME IN PRINT!" for this book. It's authored by David Colbert who also wrote The Magical Worlds of Harry Potter and its purpose is to explore "the myths, legends, and history behind Lewis's beloved Narnia series." Honestly, if I had more time on my hands, I'd read this one out of curiosity sake. 1. Why does the wardrobe lead to Narnia only at specific moments? 2. Where the children modeled after any particular people in C.S. Lewis's life? I noticed that this book is on Janet's (Across the Page) nightstand so if you'd like to learn more about it, check in with her! I wrote a tiny little blurb about this one back in 2008 and it's one that I'm referencing for Voyage this time around. 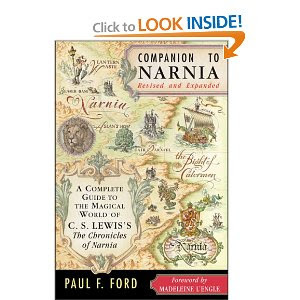 It is extremely comprehensive in detailing all of the particulars about Narnia - places, people, creatures, myths, etc., etc. 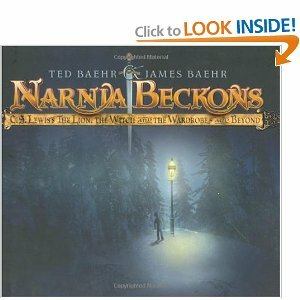 I highly recommend this one for the home library of any Narnia fan. This book has the weirdest illustrations ever, I have to say. They look like pencil drawings and Aslan looks part Ape. I don't think that's the illustrators intention but it's really ...odd. Part anime part...something. 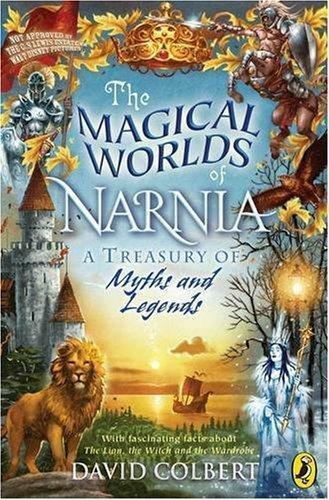 This book is a collection of essays about Lewis and the Narnia series with lots of pictures included. (I liked the pictures.) There are essays on Lewis and his friends, Lewis's Defense of the Transcendent Incarnate, the talking beasts in Narnia, and Lewis's Last Interview (1963) which was a fun read. Q: "What is your opinion of the kind of writing being done within the Christian Church today?" A: "A great deal of what is being published by writers in the religious tradition is a scandal and is actually turning people away from the church. The liberal writers who are continually accommodating and whittling down the truth of the gospel are responsible. I cannot understand how a man can appear in print claiming to disbelieve everything that he presupposes when he puts on the surplice. I feel it is a form of prostitution." I'm chuckling and groaning simultaneously and have a few authors in mind who I'm sure Lewis would have a thing or two to say something about. Wouldn't it be nice if you could pick up a book from a Christian publishing house and know that the book will hold to the tenants of the Christian faith? Sadly, that's not so. Not that we should ever cease being vigilant in discerning truth from untruth and examining books in the light of scripture, mind you. But it would be satisfying to know that publishers did the same thing. ....stepping quickly down off the soapbox because I'm feeling tempted to name names. 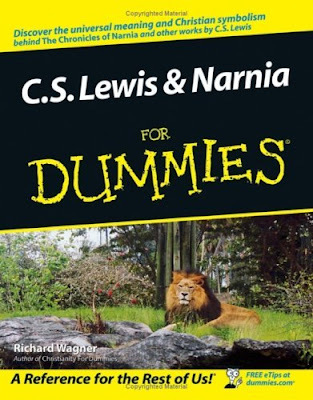 At any rate, here are some Narnia resources for your acknowledgment or consideration. Stay tuned because I'll be sharing the rest of the library stack with you later this week! What a great reading list! I love that last excerpt and your commentary on it. I'm going to look for it. I agree about the "Dummy" books. I tried reading Inside Narnia, but I found I couldn't finish it -- at least not right now. It was good at what it proposes to do, but I have to be in the right mood. I'll look forward to hearing what you think! I've seen the last one at my library. last year the girls and I were able to go to the Narnia exhibit it was soo neat to touch and feel the actual items from the movies. my girls loved sitting on the qhite queens ice thrown and walking in and getting snow on them. :) super expensive but worth it. I'll look forward to hearing your thoughts on the ones you read. I agree about the word "Dummy," but I take the series of books to mean just a simplified or easy to digest treatment of the subject. And I agree very much with your soapbox issue. 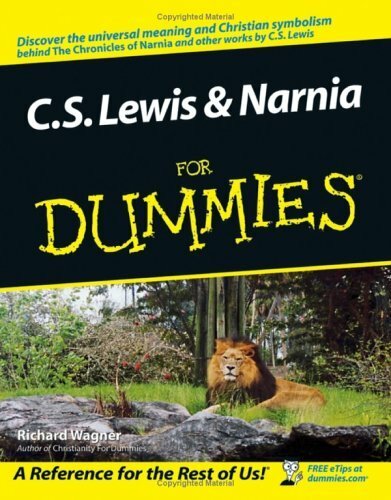 Carrie, I hate to say it but I may have to give the "Dummies" book a try :-) I'm just not all that fascinated with Narnia and it makes me think that there's something about me, that I'm just not getting it. My best friend is a Narnia nut and she hasn't been able to convert me, either. This post is an absolute treasure trove! The only one I have is Companion to Narnia...hoping my library has a few of the others!